The Comforter, by Helen Lehndorf (Seraph Press, 2011) 76 pp. 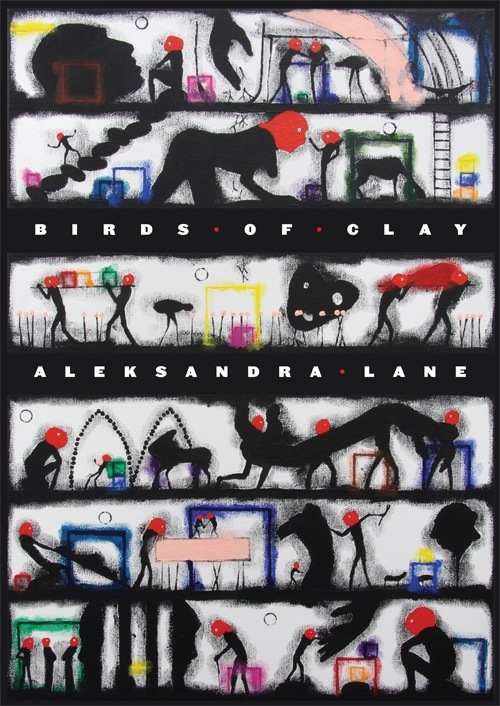 $25; Birds of Clay, by Aleksandra Lane, (Victoria University Press, 2012) 95 pp. $30. That’s the opening of Helen Lehndorf’s poem ‘Fall back’. It is, I suppose, a not unfamiliar region to most of us, that is: a kind of suburban hell, afflicted with its own mini-version of the plagues of Egypt. Your body corporate must miss you, Mr Chairman. there is no washing on the balcony you) will) be fine. I thought it might be best to begin this review of their work by quoting from two ‘landscapes’ by these two very different poets. This is Helen Lehndorf’s first full-length poetry collection, but she has a long and impressive publishing record behind her already. Aleksandra Lane, too, published two books of poetry in her native Serbia before writing this, her first in English. Neither, then, can be regarded as in any sense a beginner in the poetry game, nor do either of these collections show any signs of haste or carelessness in the arrangement or choice of contents. These are serious writers, and they both merit being taken seriously. body corporate rule are very clear about that. Lane’s is an equally recognisable region of the mind, I think. Anyone who watched the 2006 film “Das Leben der Anderen” [The Lives of Others] can spot it at once – a kind of East European nightmare of secret police surveillance, official corruption and callousness, and personal torment. It is, in a word, Kafkaesque. Of course in saying that one’s said almost nothing at all. ‘Kafkaesque’ has become a cliché — a cliché as pervasive and indistinct as the word ‘Gothic’. If Helen Lehndorf’s landscape painting, then, is (deliberately) gothic — she does, after all, use the word herself –—and Aleksandra Lane’s a bit Kafkaesque, isn’t that an implicit accusation that both of them, in their poetry, are inhabiting a kind of prefabricated imaginative realm? Not so. That’s a lot of ground to cover in one poem. Too much, some would say. Any creative writing workshop would probably get to work on pruning some of the undergrowth, focussing the points like ducks in a row. But that would be to miss the point, and the originality, of Lehndorf’s writing. There’s nothing undisciplined in her use of language. She’s thought through the lines she’s kept, and one has a sense behind them of a fully developed process: reams of false starts, pages of abandoned verbal ornaments. If it’s here, it is because she wants it to be. There’s an untidiness, a broad strokes quality to her vision of life, so ‘Wabi-sabi’ retains its complexities and roughnesses because it has to. ‘Fall back’ is, perhaps, a simpler poem, which makes it easier to start with. Not by much, though. The fact that it falls into a genre more easily than some of her other poems is no criticism of it. Gothic is a mode which so much New Zealand writing inhabits naturally in any case. That is to say there’s nothing forced in Lehndorf’s easy assumption of its tropes, which in any case are just part of the picture; her book as a whole paints in many styles, in many moods, yet the overall impression it gives is consistency, both on the aesthetic and emotional level. It’s not a book that can be exhausted in one, or even several readings. Aleksandra Lane’s writing comes just as clearly from a set of moods and modes we identify as ‘Eastern European’ – it brings with it ‘a suitcase full of edgy Balkan politics and surrealism’, as Chris Price comments in her back cover blurb. More than Kafka, though, it reminds me of Bruno Schulz, that strange mythologist of the Polish ghetto, author of Cinnamon Shops (1934) and Sanatorium under the Sign of the Hourglass (1937). Schulz shares Lane’s uneasy surrealism, her combination of eroticism and anxiety. The lovers in Lane’s poems are alternately brash (‘I have had the strongest overwhelming desire / to take my clothes off. May I?’ [‘Strong City’]), and self-doubting (‘instead my first-born turn around and says what kind of mother are you with literal breasts and no milk’ [‘Non sequitur’]). There’s a strange dream-logic running through her poems. At times this is almost viscerally palpable, as in ‘Wellington Inc.’ (with its lovely use of that quintessential Kiwi-ism “yeahno”), or in the Nikola Tesla sequence, ‘There are no ghosts in America’, that closes the collection. At times the connections are less evident, as in the folk-fables that make up the section ‘Birds of Clay.’ What is consistent throughout, however, is this sense of an unpredictable, chancy lyricism, finding inspiration in the quirks and corners of the everyday, as Schulz did in the strange and unaccountable antics of the eccentric, messianic ‘father’ in his stories. It’s nice to be so surprised and delighted by two new ‘first’ collections. Certainly, these are both poets to watch. For the moment, though, these two strong, full books give us some foretaste of what’s to come. JACK ROSS is a writer, editor, anthologist and blogger who teaches English and Creative Writing at Massey University’s Albany campus. He has had published several collections of poems, two collections of short stories, a novella, and three novels.